After prices sunk from $250 per ton in the middle of August to $192 per ton early last month, the government approved $27 million in subsidies to help mills purchase paddy from farmers—also appealing to officials and friends of the ruling CPP to buy up as much paddy as possible. 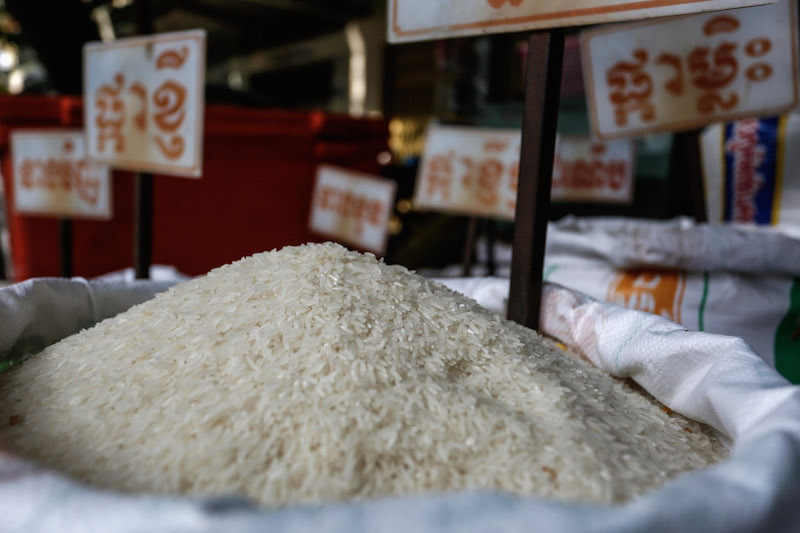 However, most mills have not even used the subsidies, said Hun Lak, vice president of the Cambodia Rice Federation, instead tapping money from private reserves and orders received from international buyers, such as China, Malaysia, Hong Kong and Singapore. “The first harvest season has nearly ended, while there are some orders from overseas markets, so the price has gone back up,” Mr. Lak said. Mr. Lak also credited higher prices in Vietnam and Thailand for allowing Cambodia to sell at higher prices, and said a lack of orders, not a lack of money, was the reason for falling prices in the first place. Kang Roeun, a rice farmer in Battambang province’s Sangke district, said the price in his area had increased to about $210 per ton, but that it was not enough to make him feel comfortable. Similarly, Ping Sinuon, a rice farmer in nearby Battambang City, said he was still in a precarious position.